In my last blog we talked about how emotional eating can be really harmful for your mindset and your waistline. This was a very common response as it’s a very common experience. 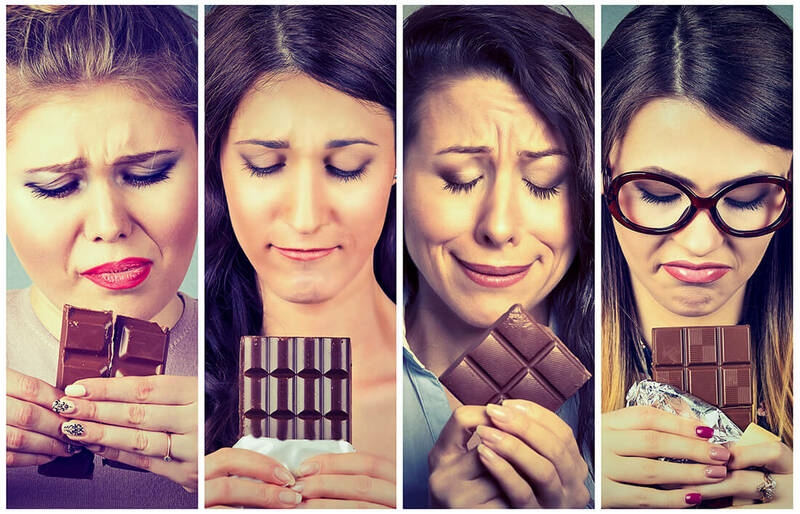 While this is not emotional eating per se, your emotions are still very much affecting your food choices through what we call dual-process dynamics. Basically, we have two systems in our mind that are making our food choices at the same time*: The Reflective System – which is deliberate, logical, and takes willpower (I think of this system as the Dr. Spock System), and the Impulsive System – which is fast, emotional, and habitual (I think of this as the Homer Simpson System). When we feel emotional our reflective system is weakened and our impulsive system is strengthened, leading to poorer food choices! Because dual-process dynamics powerfully affect our food choices, we address them in our Freedom From Emotional Eating program, and people certainly appreciate working through this often experienced – but seldom dealt with – way that mood effects food! You can also see this result, which measures the extent to which unpleasant emotions provide a barrier to regular exercise. As a guide, people who score over 50 tend to be regular exercisers, whereas people scoring lower tend to exercise less regularly. For now, I want you to reflect on whether dual-process dynamics are effecting your eating (basically are intense, recurring, or persistent unpleasant feelings making healthy eating harder? ), start to think what you may be able to do about it, and if you have any doubts about how it all applies to you, be sure to complete the questionnaire! Thanks for taking the time to go through this all and talk soon guys! *For more on this, see Thursday Therapy 29 – “I know what to do I just can’t do it! 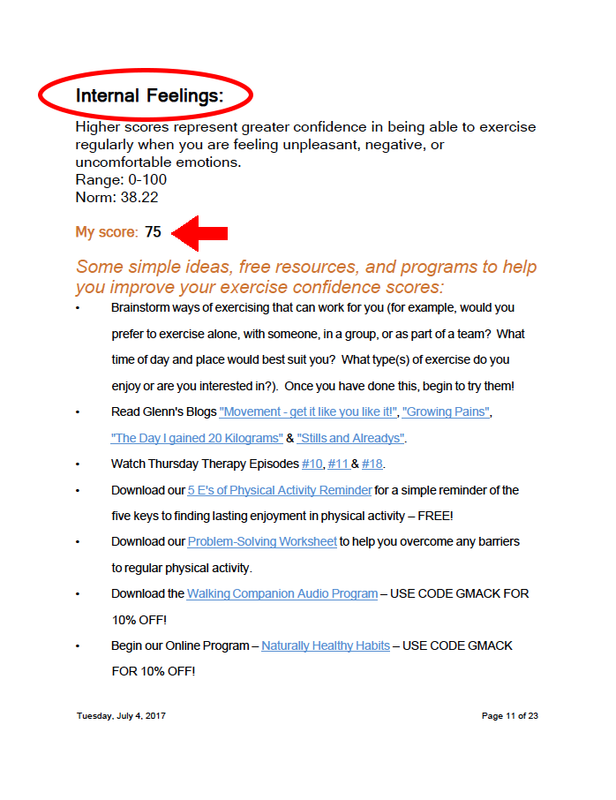 Hey Buddy!, I found this information for you: "Your Mood & Food – Beyond Emotional Eating". 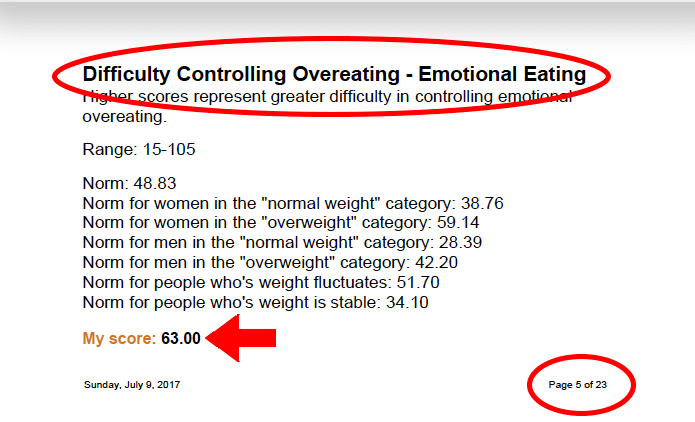 Here is the website link: https://www.weightmanagementpsychology.com.au/thought-27-your-mood-and-food-beyond-emotional-eating/. Thank you.